This type of plant is dedicated to tradesmen, small and medium service centres, and manufacturers of air-conditioning systems, air ducts, guttering and spouting, prefabricated roofs and walls, and sheds and tanks that require precision, reliability and the maximum productivity. 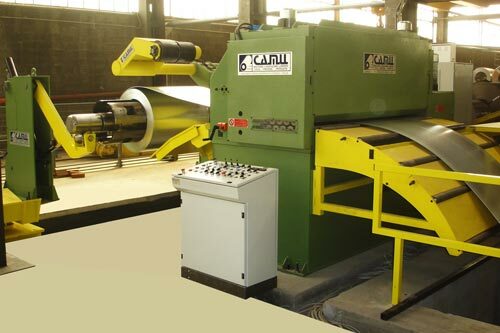 Our production range is capable of covering all the clientele’s needs and is divided into categories on the basis of the dimensions and thickness of the material and the production quantities. 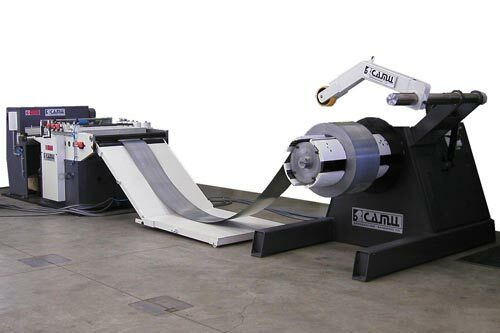 These parameters characterize all the LIGHT, MEDIUM and HEAVY cutting lines and are all available in combined versions too. 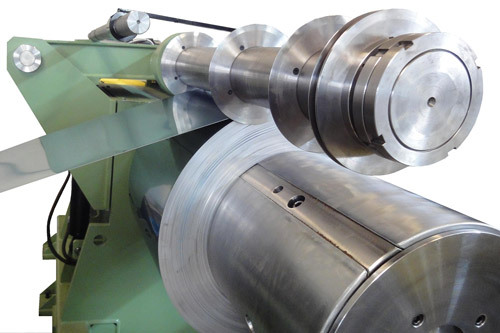 Those lines are therefore able to work thickness from 0.5 mm to 6.35 mm with working speeds that range from 15 to 40 m/min depending on the needs of the specific customer. A specific line designed for increasing production and ideally exploiting the dimensions of any coil. The LTC line is built using important structural details that permit operations that are demanding and flexible at the same time. This is the evolution of the LTC line from which it differs, however, as a result of the technical features that make it possible to work thicknesses from 0.7 mm to 6.35 mm and coil widths up to 2,000 mm. 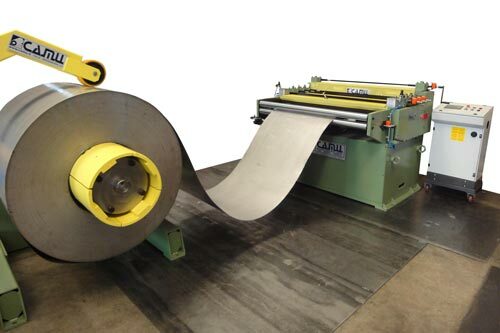 A recoiling unit can also be combined with all the LTC and LTC Plus systems for the production of small reels. The compact dimensions of the system eliminate the need for a coil accumulation pit, thereby reducing installation costs.